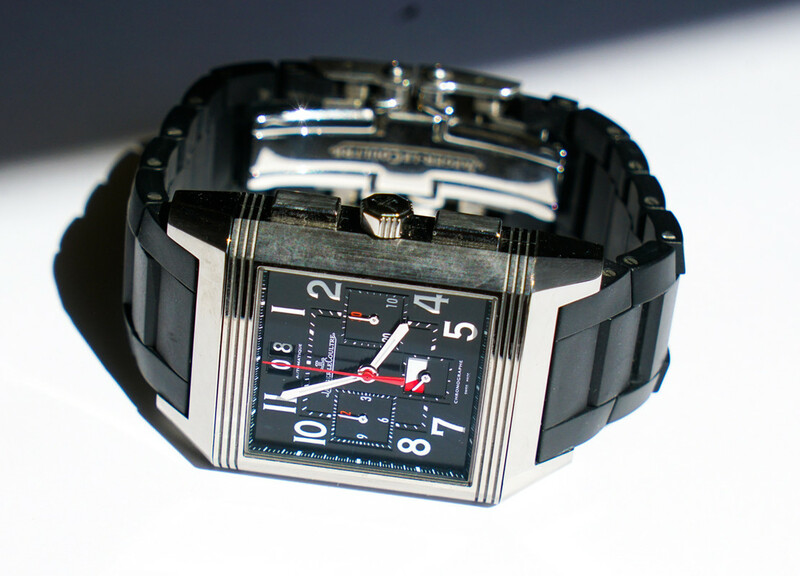 Offered for sale is my mint condition (TZ 98%) JLC Reverso Squadra Chronograph Worldtime. This is a limited edition of 1500. 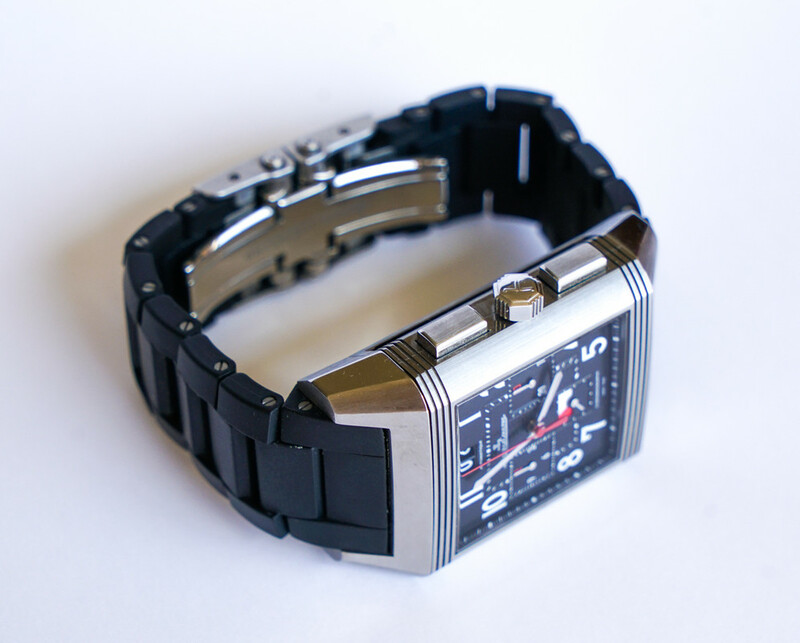 Titanium on a articulated rubber-coated titanium braceled. 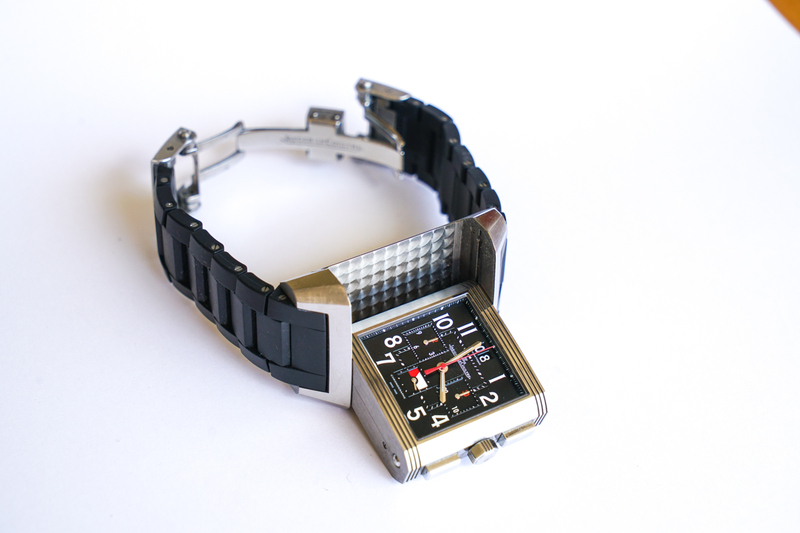 Probably the only automatic watch that has a chronograph, a world time and a big date complications. 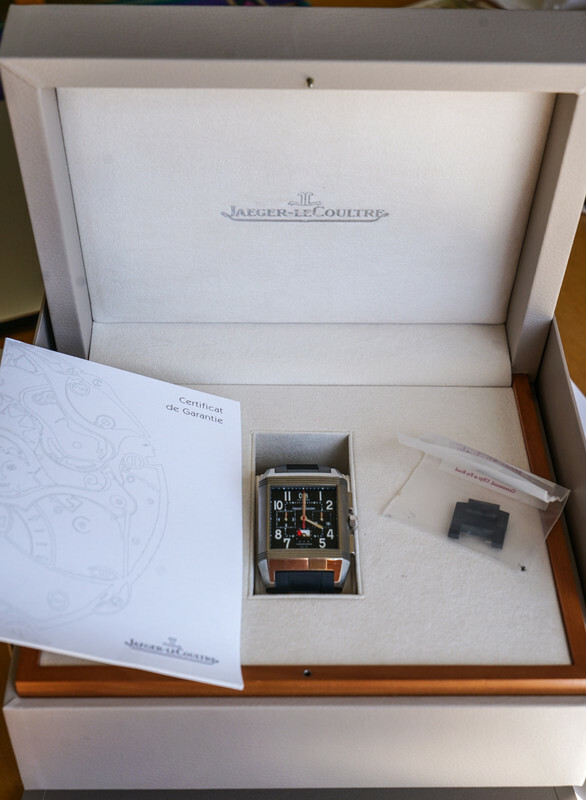 Overall, a real stunner that was featured on the photo report of the recent big watch meetups in San Francisco (email for pictures). 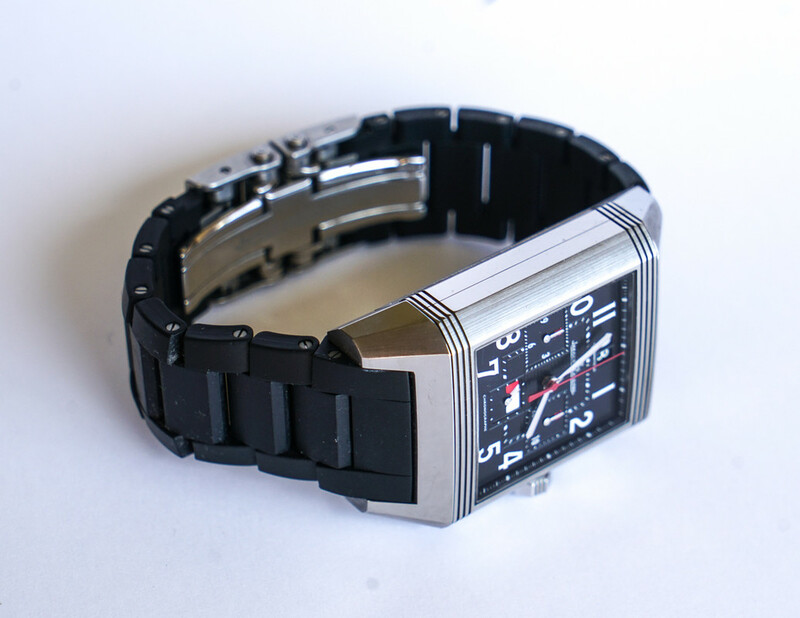 Keeps precise time and needless to say, all functions work impeccably. Comes with box and papers and extra bracelet links. 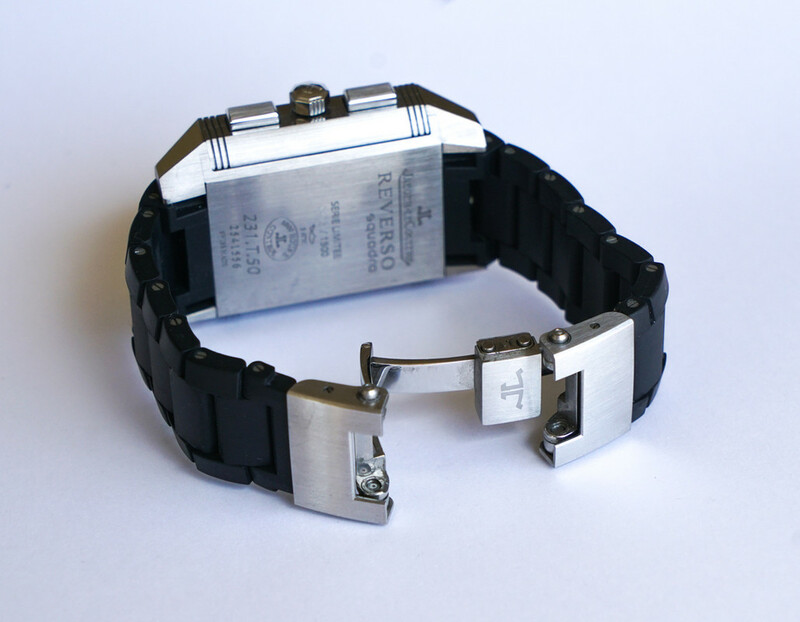 The bracelet has the ingenious JLC micro-adjustment mechanism. 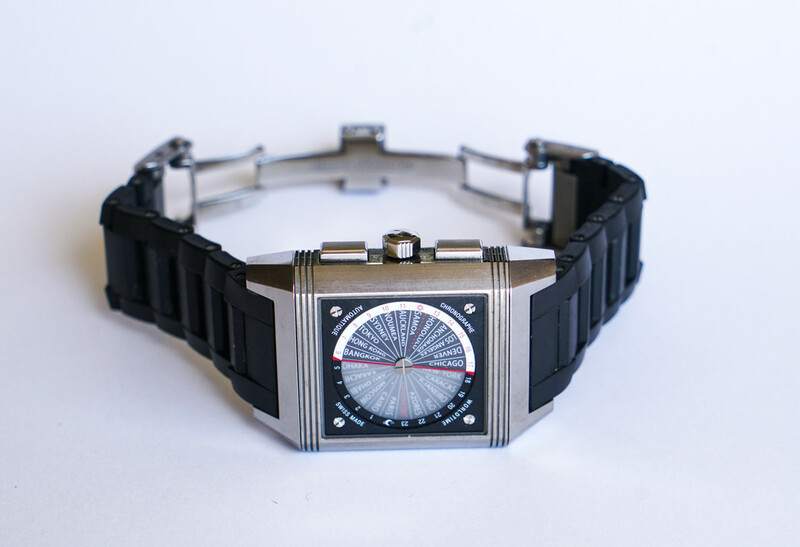 A statement watch. $8400 shipped CONUS. Bank transfer or PayPal (we split PayPal fees). International shipping extra. I have references on TZ and WUS forums. Face to face in Bay Area is welcome. For questions or additional pictures email hayzen11@yahoo.com.